Standard garage door torsion springs are ideal for regular size residential doors. Depending on the manufacturer, the spring is either housed within a metal shaft which is secured with end bearing plates to the cable drums or is placed around the shaft. They are secured at an anchor bracket and have a stationary cone so that they will not move at one end, but on the other end they have a winding cone which allows the movement of the spring. The torque developed by the spring movement is transferred by the shaft to the drum and pulls the cable, which is attached to the bottom bracket of the door, up. As the cable moves up, it takes the door with it and that's how the torsion spring garage door cable system moves the door. 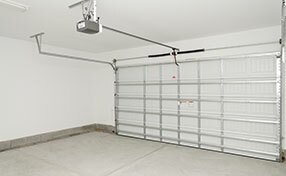 Garage Door Repair Riverview knows about the differentiations among torsion springs. With a great experience in the garage door repair business, all professionals at our company are experts in torsion springs made by any brand. We install, repair and replace Clopay torsion spring systems and torsion springs manufactured by any company. 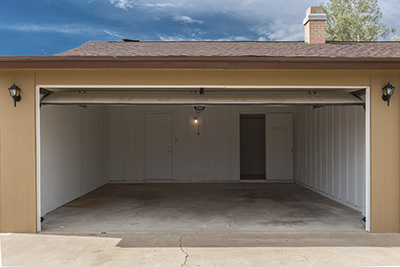 Our technicians use the appropriate winding bars when they need to add tension to the spring or replace and install torsion springs and we can assure you that our garage door torsion spring adjustment and replacement services are excellent. As experts in garage door torsion spring replacement, we guarantee careful and proper service. We remove the old and broken spring with care and install the new one with equal attention. We make sure the right size is used since torsion springs also differ in terms of their length, wire size, inside diameter, end parts and the quality of their coils. We are fast when the client is in need of emergency spring repair and always provide efficient service. Do you want to ask about our garage door torsion spring replacement cost?